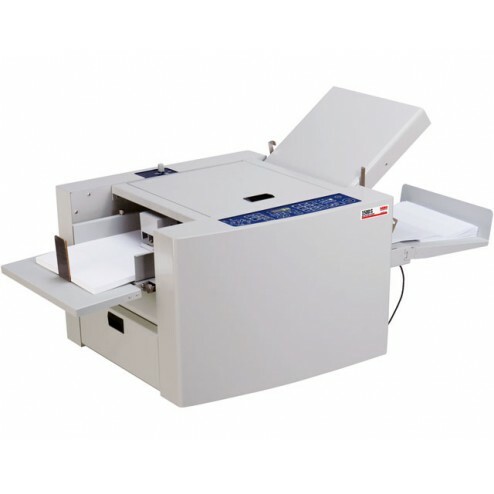 The MBM 0500 1500S Automatic Air Feed Folder saves time and money. Top feed, adjustable air suction feed system, suitable for digitally printed and coated stocks. Pre-programmed with 6 standard folds. Stores 30 custom folds in memory. One-touch memory keys for custom folds. Non-standard paper sizes can be stored in memory. Control panel includes LED 4 digit counter with batch and total functions. Test button folds 2 sheets for inspection. Automatically senses and displays paper size. Extended exit tray for neat stacking of folded sheets. Automatic feed table ensures optimum feed pressure. 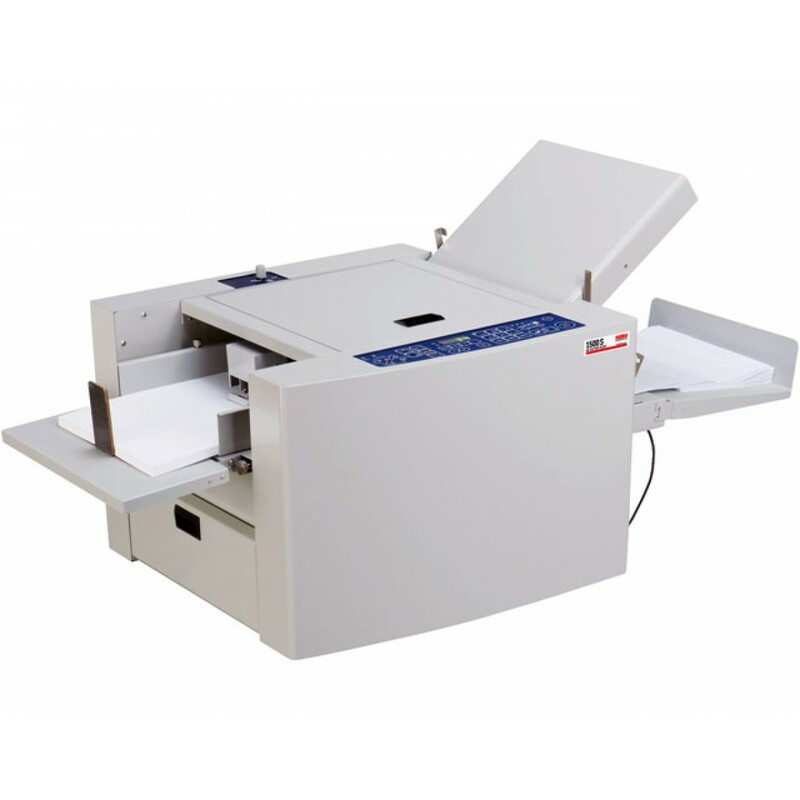 Automatic conveyor belt and self-setting exit rollers ensure smooth ejection of folded paper. Single sheet feeding automatically maintained for different weights of paper. Display alert and audible signal in case of incorrect operation. Skew and micro-adjustment dials. All-metal construction. Optional micro-perforator, and scorer. UL and C UL approved. Dimensions (D x W x H) 24" x 49" x 23"